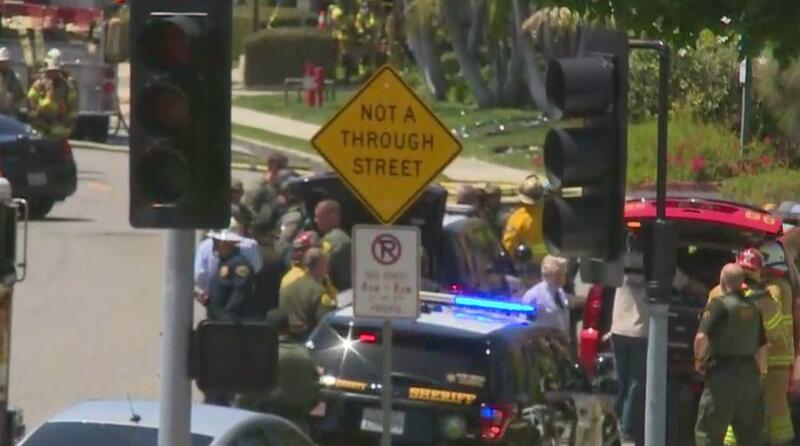 ALISO VIEJO, Calif. -- At least one person was killed and two others injured in an explosion at a building in Orange County, California, CBS Los Angeles reports. The condition of the injured were not immediately known. The explosion was reported before 1:25 p.m. on the first floor of a two-story office building, the Orange County Fire Authority (OCFA) told CBS Los Angeles. Firefighters arrived and extinguished a fire, OCFA Capt. Tony Bommarito said. Surrounding buildings have also been evacuated. A bomb squad and hazmat team were on scene. The FBI is responding to the scene, a law enforcement official told CBS News senior investigative producer Pat Milton. "The plan right now is kind of a holding pattern," Bommarito said. "We're basically going to our hazmat team and the bomb squad together, they're going to form a plan, have a conversation, and see the best way to assess the situation before we start putting our guys inside." Academy on the Hills, a Montessori private preschool located nearby, was sheltering in place.